A number of the news stories in this issue of Linkages Update suggest that, while 2013 was an extremely busy year for sustainable development policy makers, 2014 is shaping up to be even busier. More. Unlike the recently concluded climate change conference in Warsaw, the 11th session of the Conference of the Parties (COP 11) to the UN Convention to Combat Desertification (UNCCD) in September generated few headlines. More. In designing the new global framework that will create the world for our future generations, the international community has an extraordinary albeit daunting opportunity at hand. More. 14 December 2013: The second session of the Plenary of the Intergovernmental Science-Policy Platform on Biodiversity and Ecosystem Services (IPBES-2) concluded with the adoption of the Antalya Consensus, a set of decisions detailing the Platform's work programme, operating procedures and relationship with the UN. 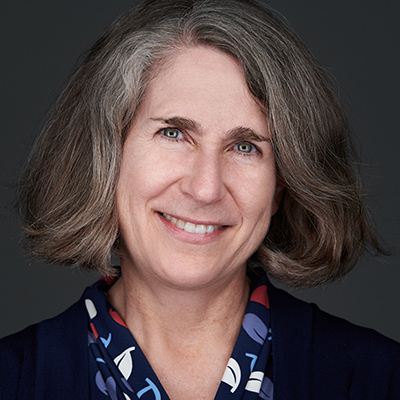 The Plenary also announced the appointment of Anne Larigauderie as the first IPBES Executive Secretary. More. 13 December 2013: Metsä2013, the Joint Session of the UN Economic Commission for Europe (ECE) Committee on Forests and the Forest Industry (COFFI) and the Food and Agriculture Organization of the UN (FAO) European Forestry Commission (EFC) announced the adoption of the 'Rovaniemi Action Plan for the Forest Sector in a Green Economy.' More. Photo: A band opened the session, singing traditional Sàmi songs around Santa Claus. 13 December 2013: The UN General Assembly's (UNGA) Open Working Group (OWG) on Sustainable Development Goals (SDGs) held its sixth session to discuss: means of implementation (MOI, especially science and technology, knowledge-sharing and capacity building); global partnership for achieving sustainable development; needs of countries in special situations, African countries, least developed countries (LDCs), landlocked developing countries (LLDCs), and small island developing States (SIDS), as well as specific challenges facing the middle-income countries; and human rights, the right to development, and global governance. More. 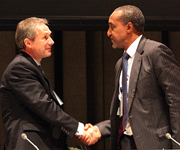 Photo: Co-Chairs Csaba Kőrösi and Macharia Kamau, shaking hands at the end of the Session. 6 December 2013: Participants at the International Conference on Valuation and Accounting of Natural Capital for Green Economy (VANTAGE) in Africa agreed on a draft outcome document that takes stock of progress on natural wealth valuation and accounting, and formulates recommendations on increasing implementation of VANTAGE in Africa. More. 27 November 2013: Participants at the fifth session of the UN General Assembly (UNGA) Open Working Group (OWG) on Sustainable Development Goals (SDGs) addressed the thematic issues of: (a) sustained and inclusive economic growth, macroeconomic policy questions (including international trade, international financial system and external debt sustainability), infrastructure development and industrialization, and (b) energy. More. 27 November 2013: The third session of the Meeting of the Parties (MOP 3) to the Protocol on Water and Health to the UN Economic Commission of Europe (UNECE) Convention on the Protection and Use of Transboundary Watercourses and International Lakes (Water Convention) was organized by the UNECE and the World Health Organization (WHO) Regional Office for Europe. More.